For the past 10 years I have been talking about wanting to hold a photography exhibition, but have done nothing to make it happen. Well, this IS the year that I am finally making it happen and am so happy with how it is coming together! At the start of August I joined Rosie Batty to trek the Larapinta Trail, to raise funds for the Luke Batty Foundation. Starting out of Alice Springs, we took 6 days to walk from Telegraph Station to Mount Sonder (approx. 60km’s). The decision to join this trek was a no brainer - I wanted to get fit, complete one of the Top 10 treks in Australia, and if I can do that and raise money that will help Rosie Batty complete the amazing work that she does in regards to family violence issues in Australia, then sign me up! Rosie is a little powerhouse. Driven by her cause, empathetic and extremely supportive to those who have experienced violence, and passionate about the work still to be done. It was a privilege to spend time with Rosie and the remarkable people that were compelled to support and join her on this trip. 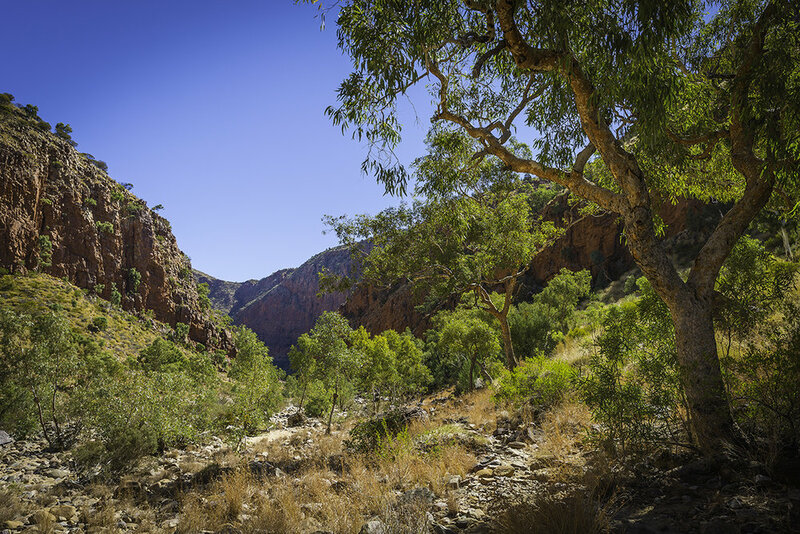 With beautiful landscapes for me to photograph, I'll be holding an exhibition "Landscapes of the Larapinta Trail" at the Ballarat International Foto Bienalle Fringe Festival, with proceeds going back to the Luke Batty foundation. What a privilege it is to be included as part of the festival! Held in my home town with over 90 unique exhibitions featuring both local and international artists, taking place in more than 70 venues around Ballarat, Victoria. Vernissage – The grand opening, August 19 at 7.30pm at the Mining Exchange. This will be set within the Tell exhibition with delicious paella offered by Local Chef, Peter Ford and a cash bar available. The inaugural Colour Ball - Friday 26 August at 8pm. Fine wine and fine food. Black tie with pops of colour. Buy tickets here. For more events see here and for artists talks and walks and workshops see here.